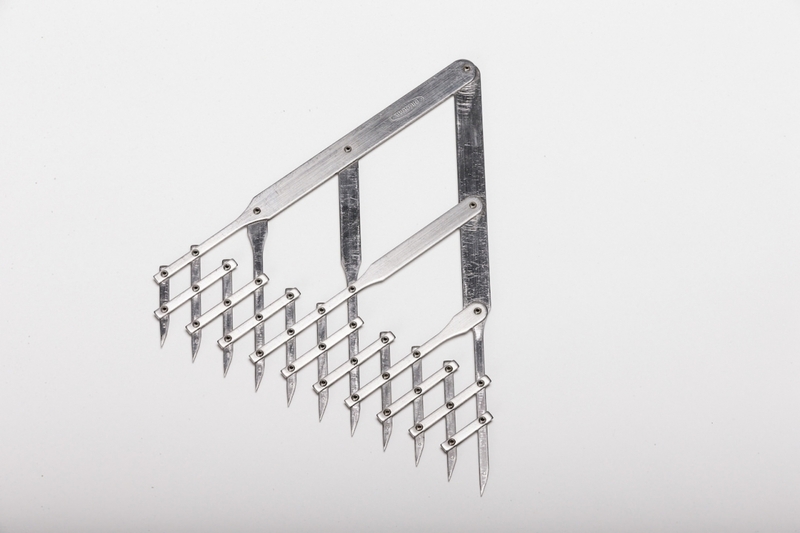 If you’re a fan of James Bond, you’re probably going to love this. 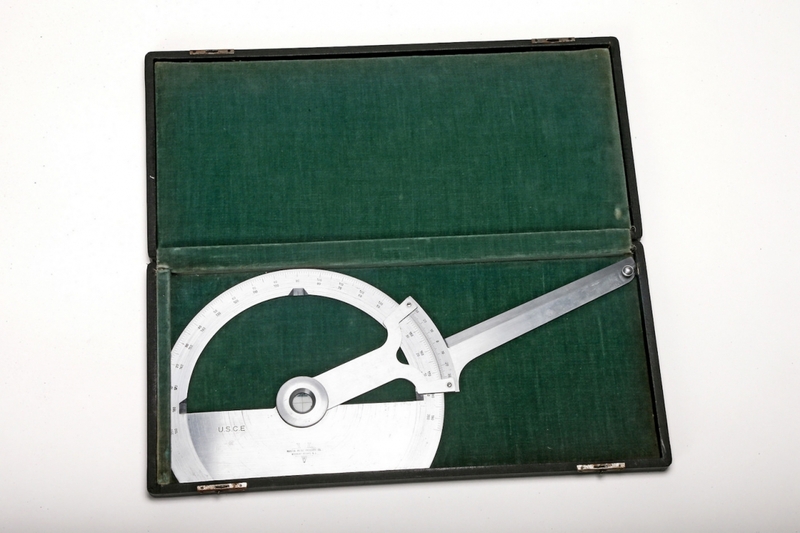 While Bond was defined by his somewhat outlandish gadgets, one of the most important tools for a real-life spy is fairly boring — a map. 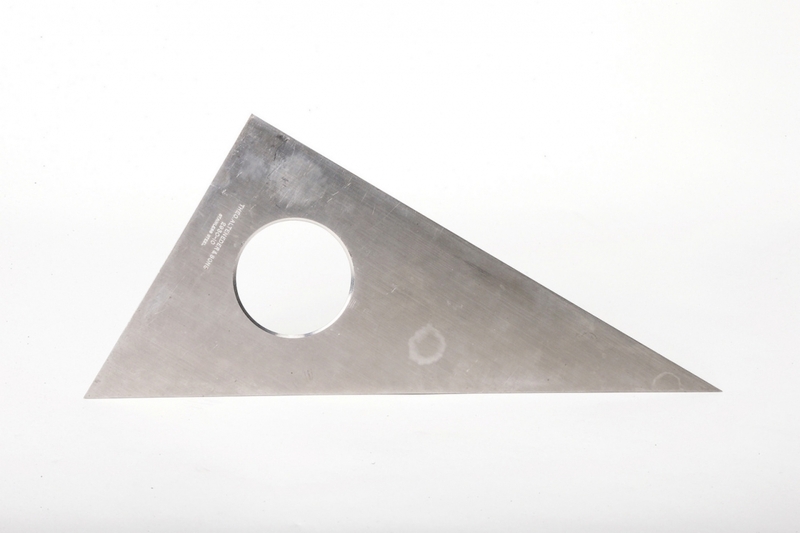 They have been used for centuries, and the Central Intelligence Agency has a ton on file. They’d use maps to gather information or plan an attack. They’re an integral part of espionage. To celebrate 75 years of serious cartography, the CIA has declassified once-secret maps and put them online. The Cartography Center of the CIA started in October of 1941 with merely hand-drawn maps that plotted geographic data of World War II. It’s barely recognizable today, as they’re no longer using some of the cartography devices you’re going to see in this article. Instead, they use advanced digital technologies. While they might not be marking up maps anymore, the Cartography Center still has the same goal, which is to convey intelligence to a broader audience. We’ll get to the maps in a second, but I think it’s important to go through some of the background first, so bear with me. The diversity of the maps that the CIA decided to release are incredible. There’s stuff from the Russian front in 1942 to the threatened elephant populations of Africa in 2013. The maps basically give a speedy overview of American involvement in global conflicts and crises. It’s worth the wait, trust me. That’s just a bunch of government jargon that really means some incredibly smart people who love geography show a bunch of people who don’t how to read a map. Okay, it’s a lot more than that, obviously, but you get the point. 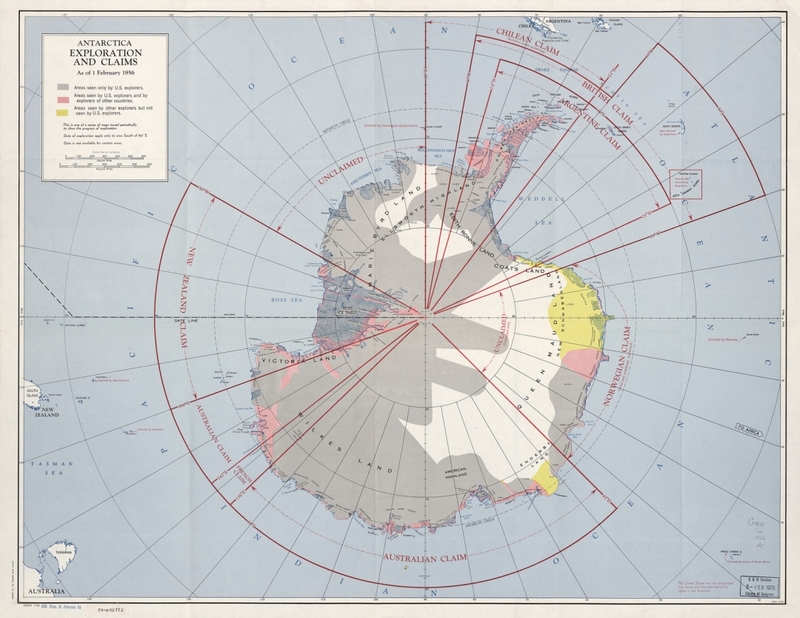 “A map should be aesthetically pleasing, thought-provoking, and communicative,” stated the CIA Cartography Center’s founder, Arthur H. Robinson. Not only that, but they have to be accurate. The challenge with maps is that they HAVE to be precise, especially in the capacity that the CIA uses them. They can influence governmental strategy and policy for decades. 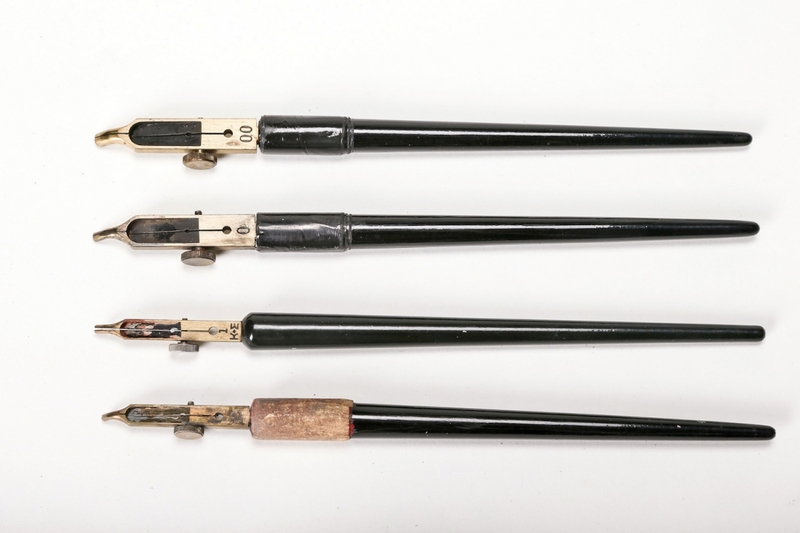 Most of the cartography tools you’ve seen so far were incredibly important in the early years of the office when the cartographers created maps by hand. Each of these maps is a time capsule of that era’s international issues. 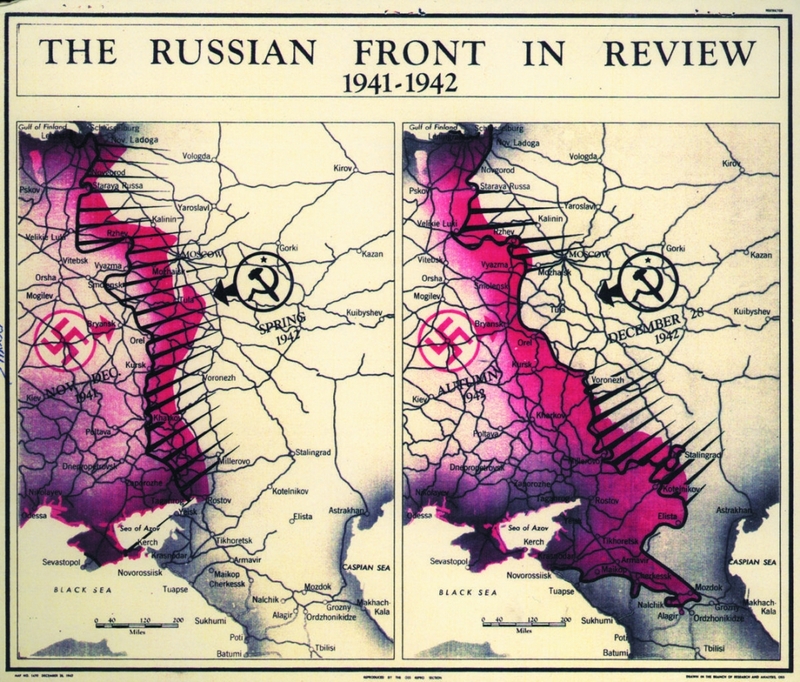 The 1940s include a map from the Russian Front during the Second World War. 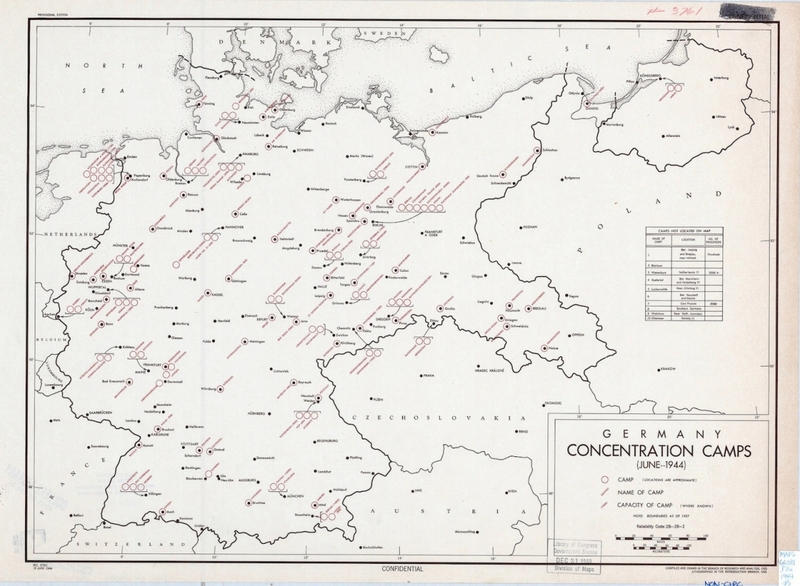 There’s a 1944 map of concentration camps in Germany as well. 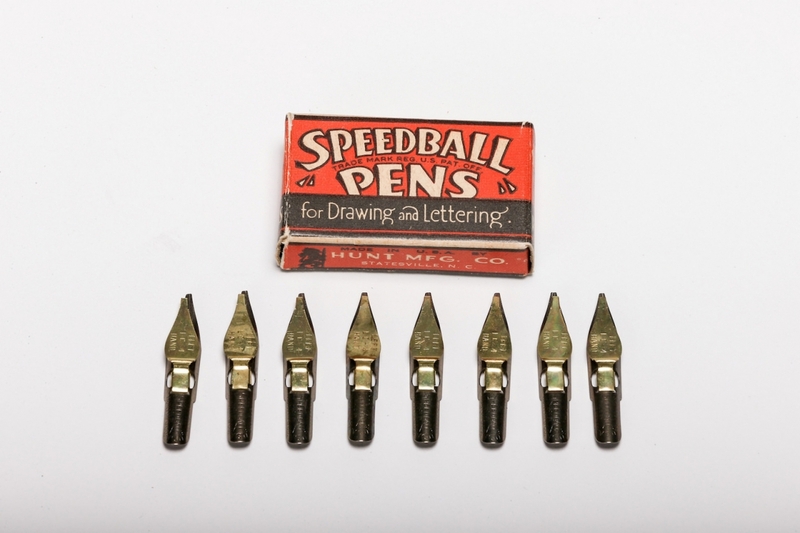 The 1950s, with innovative photomechanical reproduction and precast lead letters, saw maps on the Korean War and railroad construction in Communist China. The 1960s saw the likes of the Cuban Missile Crisis and the Vietnam War, while the 1970s saw the Afghan invasion by the Soviets. 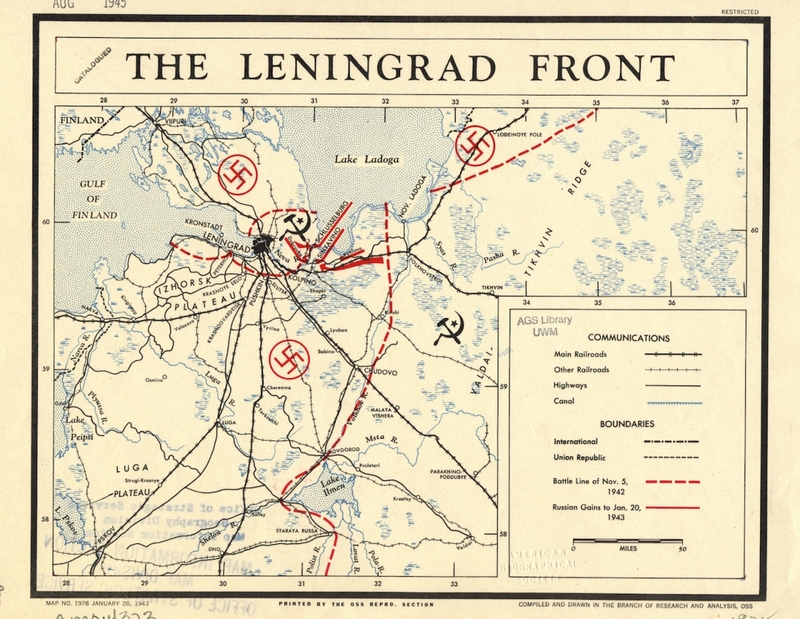 The Leningrad Front was set out to contain the German drive toward the city of Leningrad. There was a two-and-a-half-year-long siege by the Germans on the city. Not only did they have to fend off the Germans coming from the south, but they also had to worry about the Finnish army from the north who had aligned with the Germans. The Finnish Front was very bloody as well. It seems weird to even imagine that the Finns had an army worth anything. 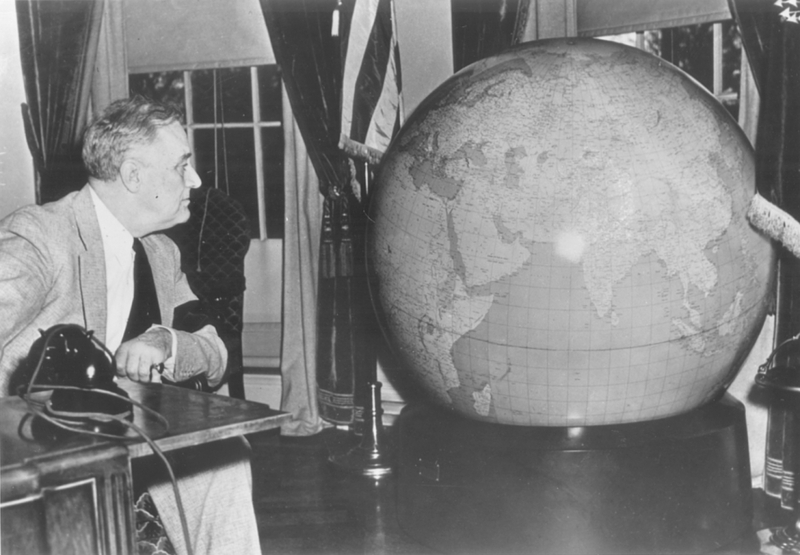 This is an interesting picture of President Franklin D. Roosevelt looking at a globe that’s all marked up by the CIA, at that time called the OSS. He was the President at the time when the Allied Powers issued the Declaration by United Nations, in which each nation pledged to defeat the Axis powers in 1942. He avoided having to micromanage the war and left it up to his top military officers. He formed a new body that we still see in today’s government — the Joint Chiefs of Staff. This is fairly self-explanatory, but this map is from World War II and outlines the Russian front against the Nazis. The battles on the Eastern front during the Second World War constituted the largest military confrontation in military history. There was wholesale destruction, and millions of soldiers and civilians lost their lives. In fact, there are estimates that nearly 70 million people died in camps, ghettos, or on the battlefield just on the Eastern Front alone. 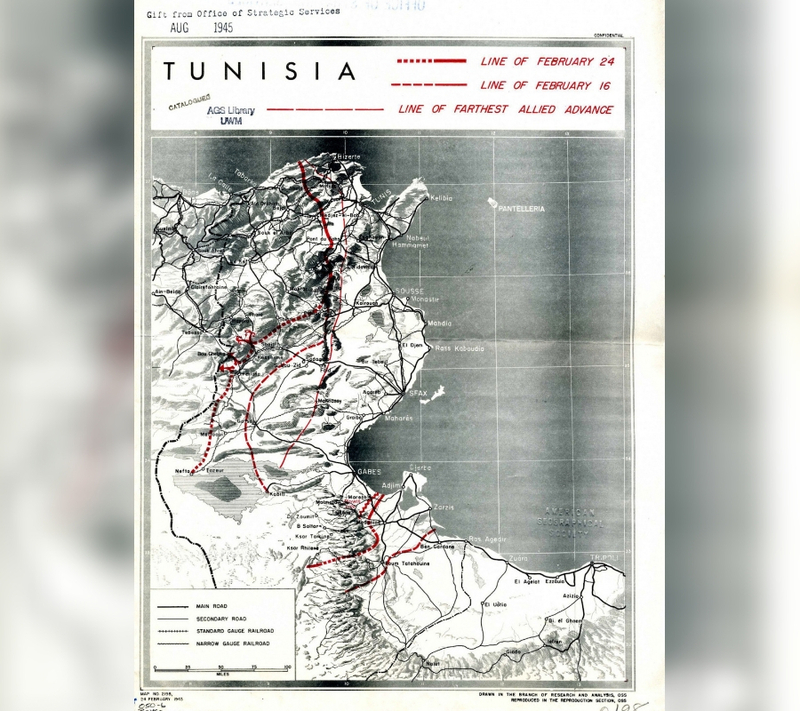 There were a series of battles that occurred In Tunisia during World War II. The American forces, with the help of the Brits, the French, and the Greeks, faced off against the Axis soldiers. The Battle of Tunisia was originally being won by the Germans and the Italians. But, the tides turned because of supply shortages and the Allies ended up coming out on top. More than 230,000 Axis troops were taken as prisoners of war during the 1942-1943 battle. You might be surprised to find out that by the end of World War II, the Germans had created nearly 15,000 concentration camps and sub-camps in Germany, and German-occupied countries. Before the onset of the war, the camps mostly held German communists, socialists, social democrats, homosexuals, and people who were accused of socially deviant behavior. During the war, the camps (aka slave labor exploitation centers and execution camps) were used to house 15-20 million people. If you’re wondering what a vegetable tannin even is, don’t worry, you’re not alone. This map is a representation of production capabilities of vegetable tannins for that time. A tannin refers to the use of oak and other bark in tanning animal hides into leather. The important thing to get out of this map is to see just how much the American intelligence agencies have their finger on the pulse of production from other countries. 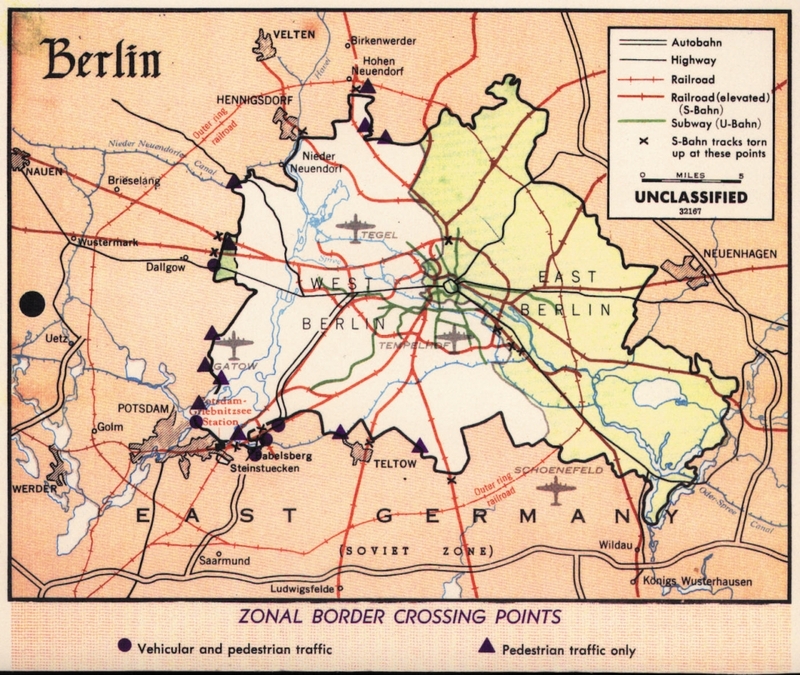 Unless you’ve been living under a rock for the past 100 years, you’re probably aware that Berlin was once split up into East Berlin and West Berlin. I can assure you, by the look of this CIA map from the 1960s, that the Americans were very aware of this. East Germany at the time was a communist country, while West Germany was a democracy. There was a wall separating the two sides of the city, which ended up coming down in 1989. This is a map from 1956 that the CIA kept tabs on. They wanted to know which areas of the continent had been explored by only the US and what parts had been seen by the world. The blue was marked as areas that only US explorers had seen, and no one else. The yellow was places US explorers had been AND other explorers from other countries. The pink were places that had been explored by explorers from other countries, but not the US. To say that the relationship between the US and Cuba has been rocky would be an understatement. Diplomatic relations were canceled in 1961 during the Cold War. Thankfully, those relations have been restored since 2015. But, there is still a commercial, economic, and financial embargo which makes it illegal for U.S. corporations to do business with Cuba. With that information at hand, it’s very logical that the CIA would have a detailed map of where Cuban surface-to-air missile activity was in 1962. Burma is now technically called Myanmar, or the Republic of the Union of Myanmar. This map shows climatic regimes in the country and it’s just another example of the CIA keeping tabs on stuff we never would’ve thought. The scope to which the CIA has knowledge is actually incredible. 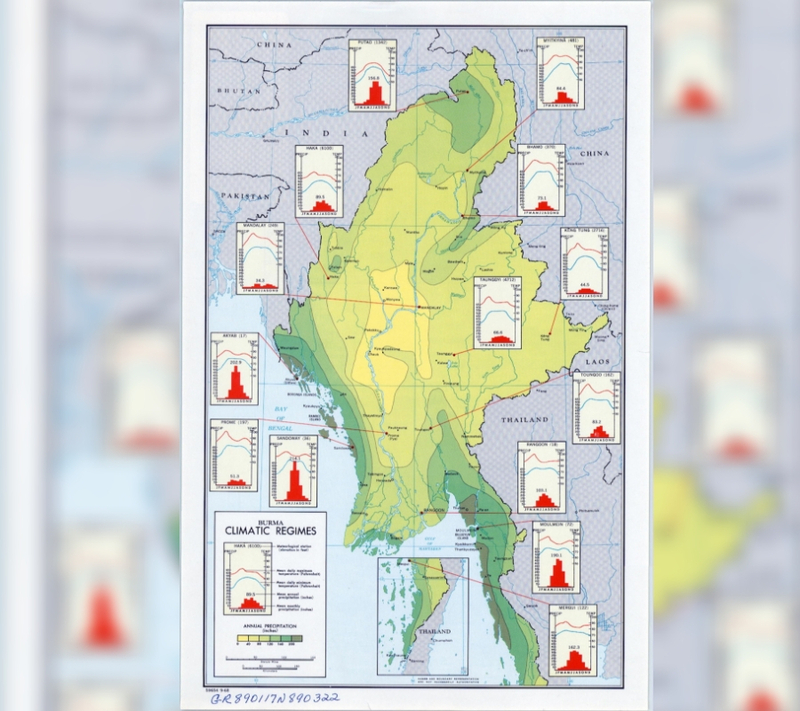 This map from 1968 is monitoring the climate in a tiny country like Myanmar. It’s a country most Americans couldn’t point out on a map, assuming they’ve even heard of it. 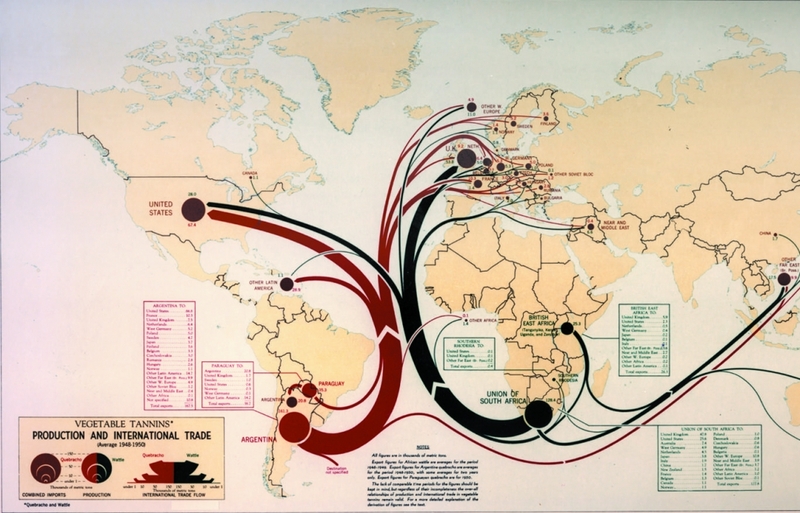 Not surprisingly, the CIA has a map that is centered around another country’s oil and gas. This one is looking specifically at Indonesia and is very detailed about where the oil fields and oil pipelines are in the country. Unfortunately, acquiring another countries oil pipelines has become a very tempting reason to start a war. I mean, it’s a lucrative gig for the attacking country. I would be surprised if the CIA didn’t know of EVERY oil pipeline from EVERY country in the world at this point. 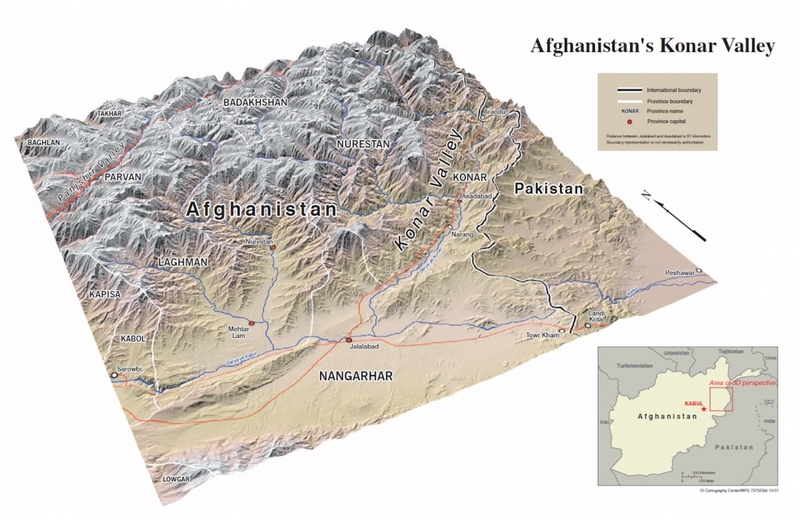 This is a digital map of the Konar Valley in Afghanistan. The map was constructed in 2001, and it shows just how detailed they can make their maps nowadays. There’s literally no stone left unturned and it significantly helps when you have your own troops in the area. This type of mapping was incredibly important during the war in the middle east and it helped navigate the area through satellite imaging. It’s kind of nuts if you think about it. If you’re an animal conservation lover, you’re probably going to enjoy this map. Poaching is a huge problem in Africa, and while it seems like a faraway problem, the CIA doesn’t think so. 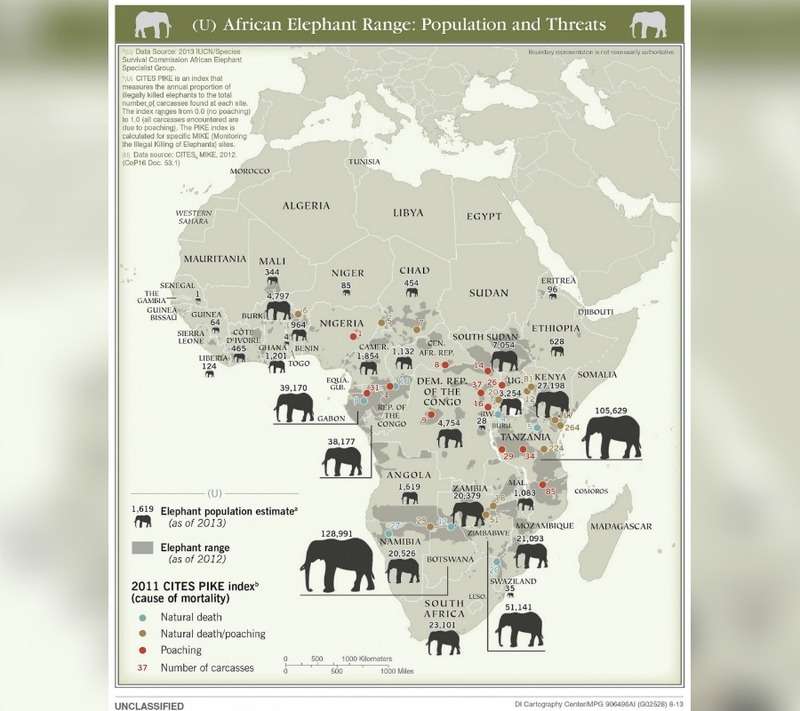 This map from 2013 shows a detailed description of the elephant population in Africa and the range of threats that the elephants are facing. The orange areas are the ones that poaching elephants is still a problem. The light brown is where natural death and poaching are killing the elephants. And the blue is where natural death is the only threat. 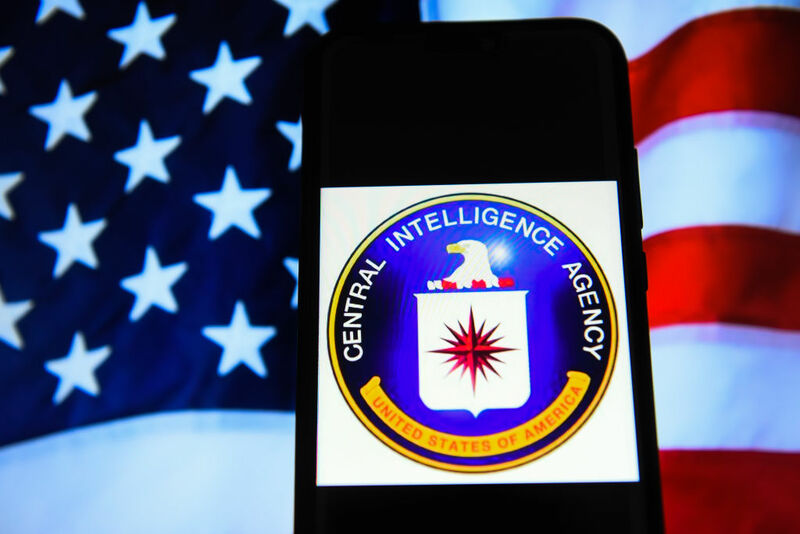 While you’re here, you might as well learn a little bit more about what the Central Intelligence Agency is, and what it does. At the bare bones, it’s a civilian foreign intelligence service of the federal government in the US. They’re tasked with gathering, processing, and analyzing national security information from around the world, primarily through human intelligence. This means that they carry out lawful covert action on foreign soil at the behest of the President of the United States. The CIA has five top priorities with counterterrorism coming in as their number one. Gathering intel on nonproliferation of nuclear and other weapons of mass destruction, warning/informing American leaders of important overseas events, counterintelligence, and cyber intelligence are the other top priorities they list. 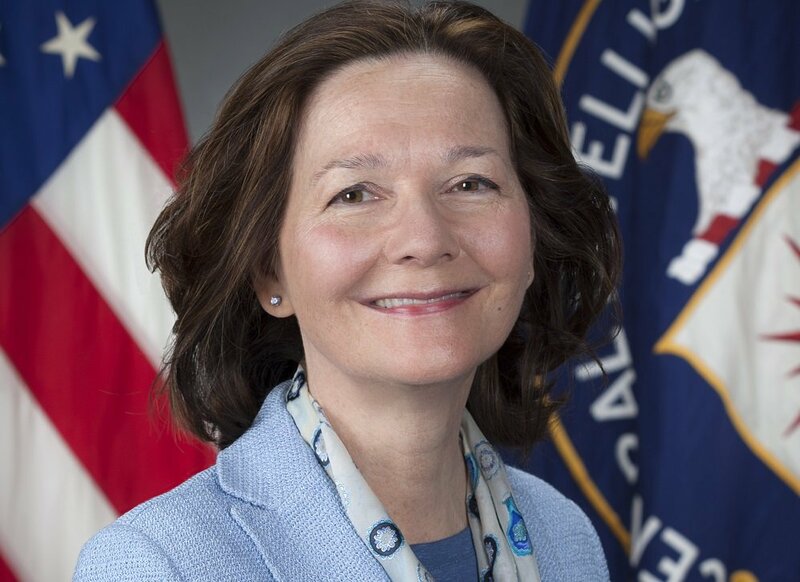 The Senate has to confirm the Director of the CIA and is usually chosen by the President at the time. It’s interesting to note that since the people who work for the CIA are around classified information all the time, they have to take a polygraph every three years. It was originally created in 1947 under President Harry S Truman when he signed the National Security Act into law. The unforeseen attack on Pearl Harbor was one of the major reasons that Truman saw a need for an intelligence agency. 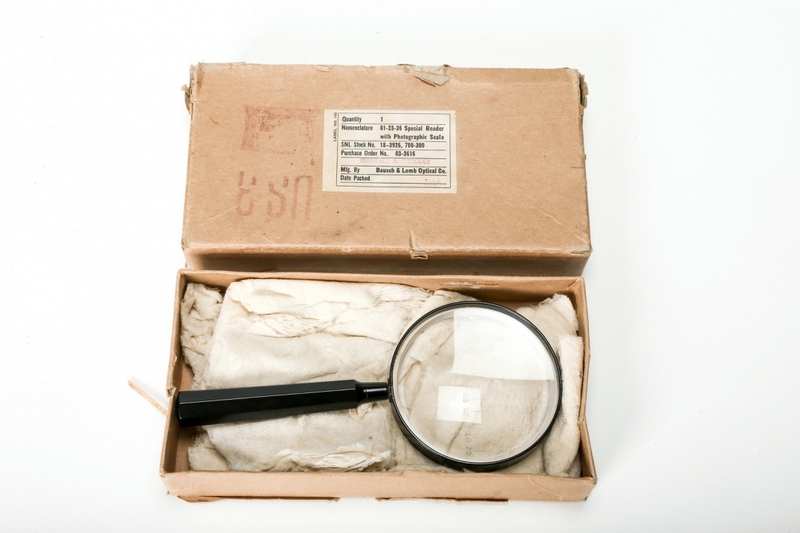 With that, the end of World War II saw a need to coordinate intelligence into one “central” place. It’s also interesting to note that the CIA also engages in domestic spying, or spying on other Americans. This was very relevant in 1971 when President Nixon was spying on his aides with the help of some CIA hacks. The CIA New York headquarters was destroyed during the September 11th attacks on the World Trade Center. 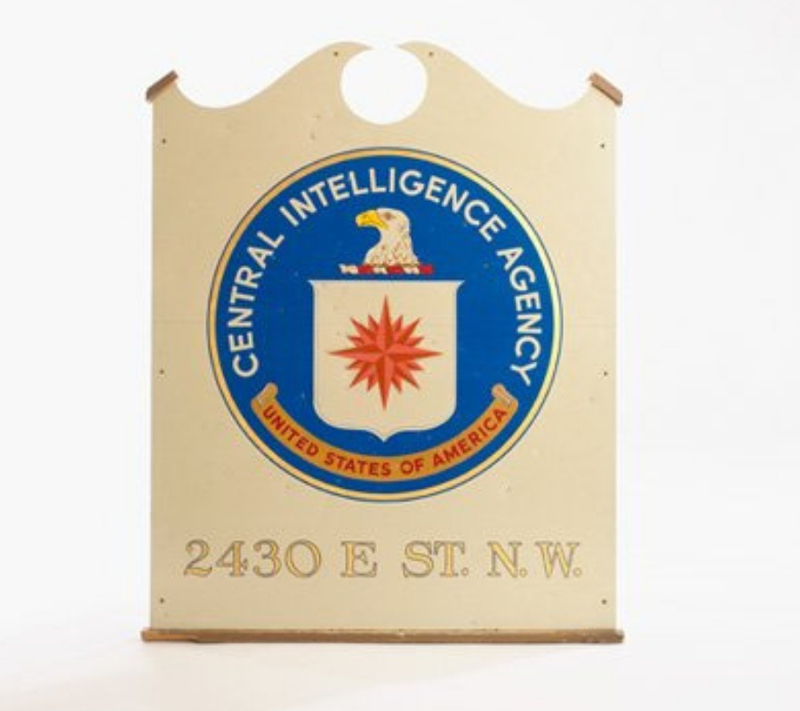 The CIA was very much involved in the presidential planning that happened immediately after the attacks. 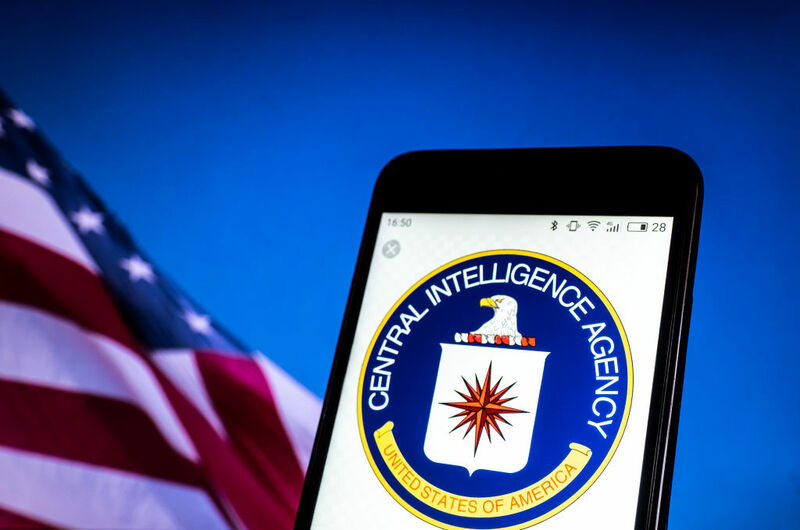 The CIA came under some heavy criticism from the general public and government officials for not doing enough to stop the attacks. 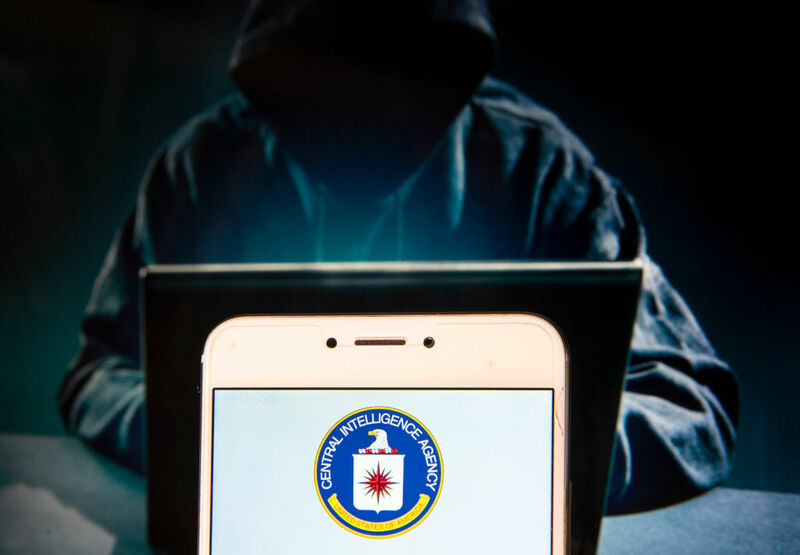 The CIA Director, George Tenet, denies those claims and says that his agency’s planning efforts over two years had put them in a position to respond rapidly and effectively to the attacks. He said that it wouldn’t matter what country attacked the US, they have enough intel on every country to counter-strike back with haste. 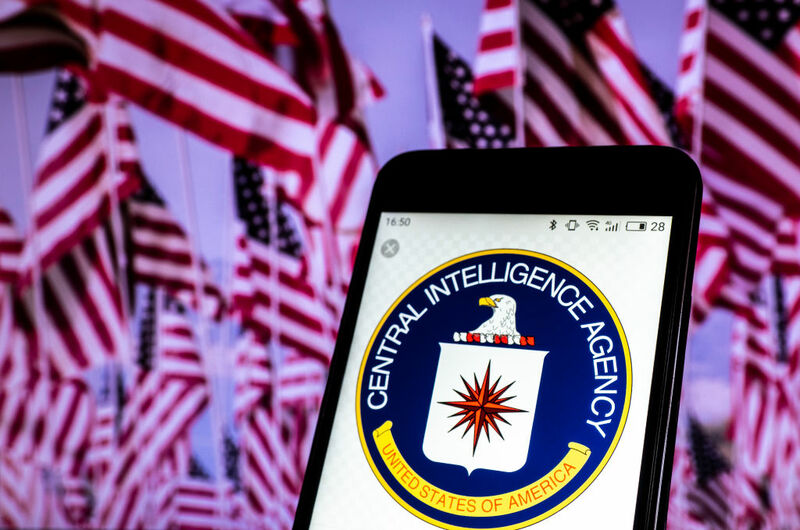 While the CIA may be a strong and powerful entity around the world, that doesn’t mean that they aren’t bulletproof. Let’s take a look at the Director of the CIA right now. She’s the first woman to ever have the position. She was previously the Deputy Director and has attracted some serious criticism. She was allegedly a key figure in the CIA black site controversy in Thailand in 2002. It was a place that they could take terrorists and torture them without having to abide by American laws. The black sites were supposed to be secret, but were leaked a few years ago. 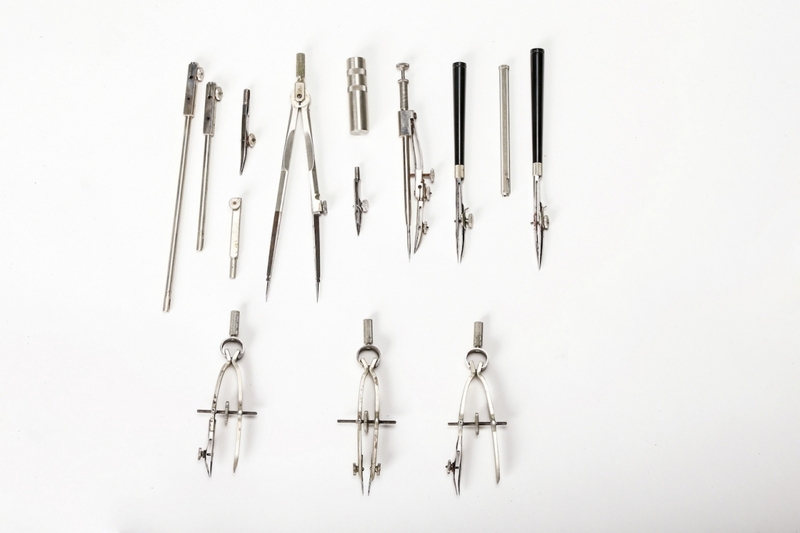 Cartography is the study and practice of making maps. As you can imagine, it’s incredibly tedious work, and requires a lot of time and effort. 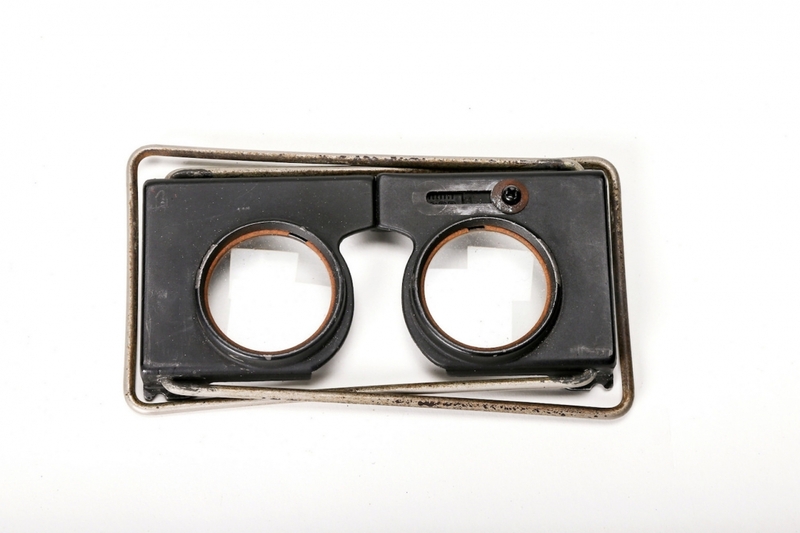 The study combines science, aesthetics, and technique which looks to turn out a product that can model reality in a way that communicates spatial information effectively. It dates back to ancient times. In fact, there are wall drawings that have been dated back to 7th millennium BCE. The ancient Greeks and Romans created maps from the time of Anaximander in the 6th century BCE. In the 2nd century CE, Ptolemy wrote his treatise on cartography, called Geographia. This contained Ptolemy’s world map. But, if you fast forward to the Middle Ages, that’s where stuff starts to get really interesting. The Arab geographer Muhammad al-Idrisi produced the first medieval atlas that combined his knowledge of Africa, the Indian Ocean, Europe, and the Far East. 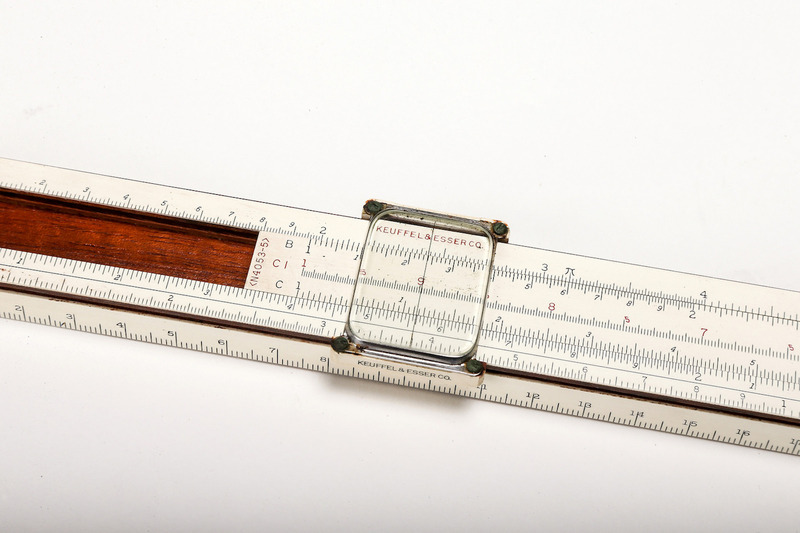 Most maps that we see today are expressed at a scale of 1:10,000, which means that one unit of measurement on the map corresponds with 10,000 of that same unit on the ground. It’s nearly impossible to flatten out a sphere without distortion, which means that maps can’t have constant scales. The amount of math and skill needed to go into making a map, especially one before any type of modern technology, would be incredibly hard to do. Cartographers make mistakes, though. Sometimes they are used to spreading propaganda, while other times it’s just ignorance. An example of an error on a map was Sandy Island. It’s a non-existent island that was charted for over a century as being located near the French territory of New Caledonia in the eastern Coral Sea. 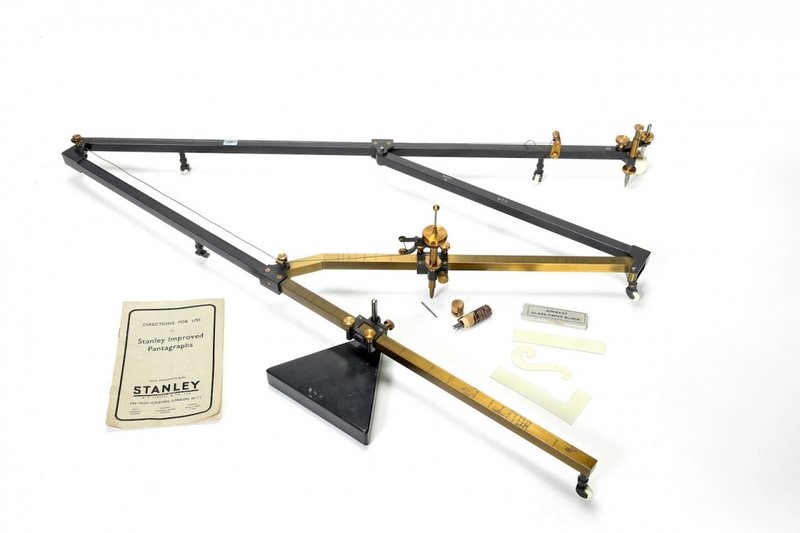 It was included on many maps and nautical charts from as early as the 19th century. It was removed from French charts in 1974, but it didn’t get main attention until 2012 when it was taken out. Some mapmakers create their own version of “trap streets” which are intentionally wrong streets on a map. 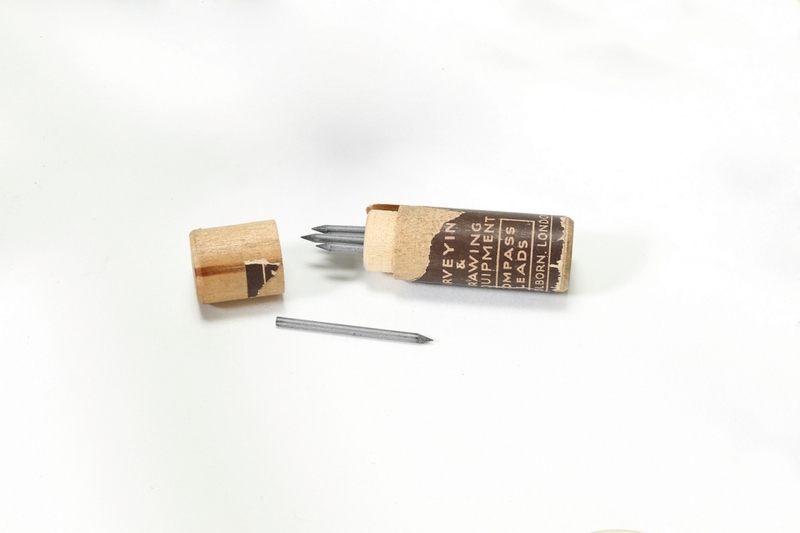 For example, the well-known map company Rand McNally included map traps until the 1980s. One of them was a trap street in Upland, California called La Taza Drive. It literally doesn’t exist in reality. Or, another map trap might misrepresent a street depicting the main artery as a narrow lane or adding odd curves. Imagine being a cartographer and just screwing with people just because you can. Fake streets aren’t the only thing they do. Sometimes they also make fake towns. A 1930 mapmaker fashioned a phony town called Agloe in upstate New York. No such town existed, and Rand McNally released a map of New York with Algoe on it. There was also a fake town called Argleton that made it onto Google Maps.